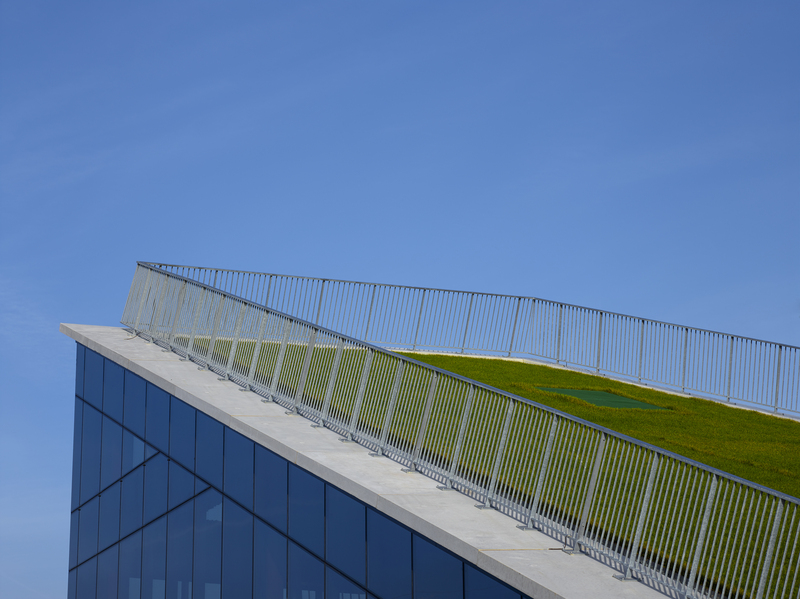 With Corda I, its steeply sloping green roof and volumetrically glazed facade, the city of Hasselt welcomed its first incubator. The project, set to house young companies and startups focusing on technology, high-tech, ICT and new media, comprises of 14.000 m² of office space, and provides common facilities such as meeting rooms, a lounge café, a restaurant and a central reception. 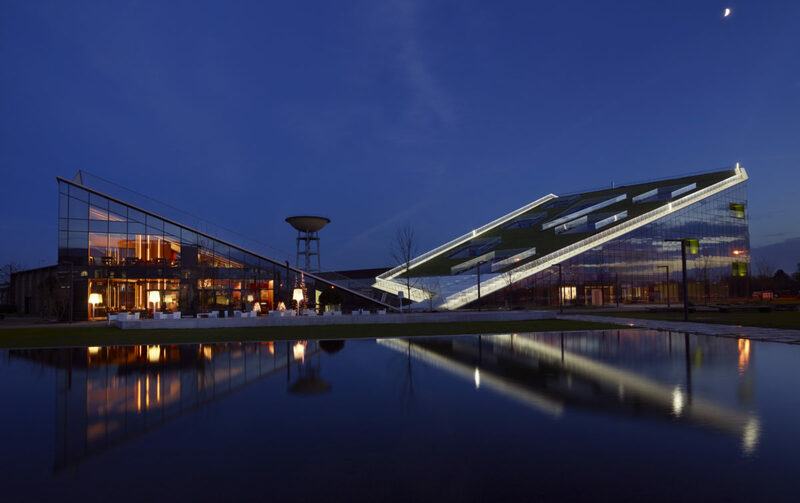 The building has seven floors, multi tenant and flexible office space and, at its highest point, rises thirty meters above the surrounding terrain. 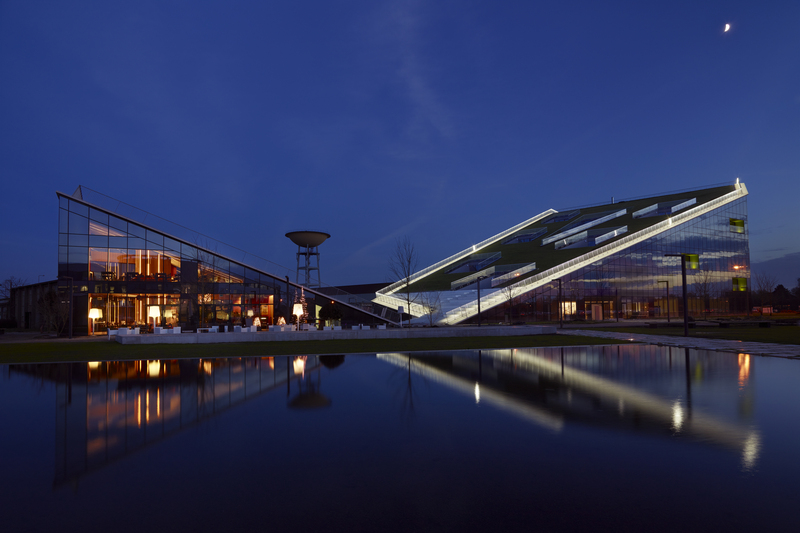 Corda Campus now functions as the ultimate eye-catcher, with architecture and landscape merging into one. This project is successful on many levels, and attracted many companies, in turn accelerating the need to complete the master plan in the very near future with Corda II en Corda III. Construction works on this next phase started in the first quarter of 2017. The lawn has been lifted and a new building has been installed underneath. 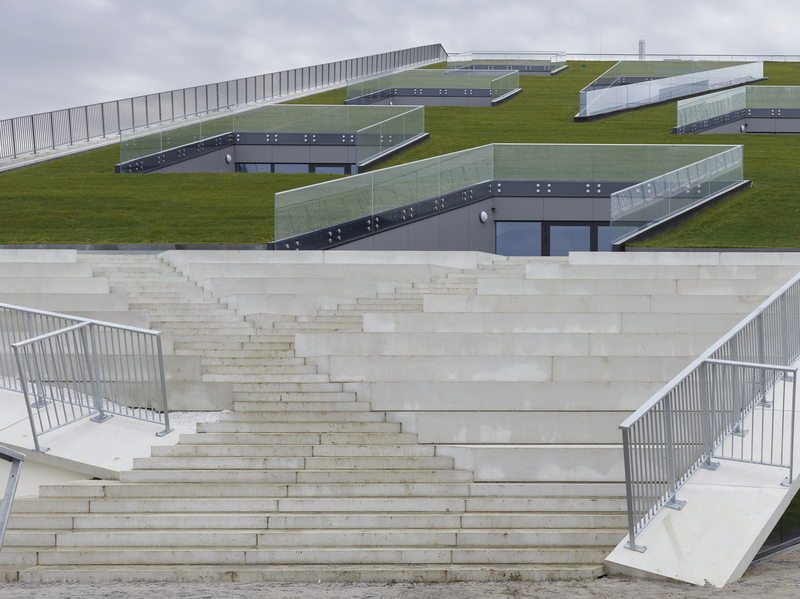 The complex design is based on a landscape, rather than on a building concept. 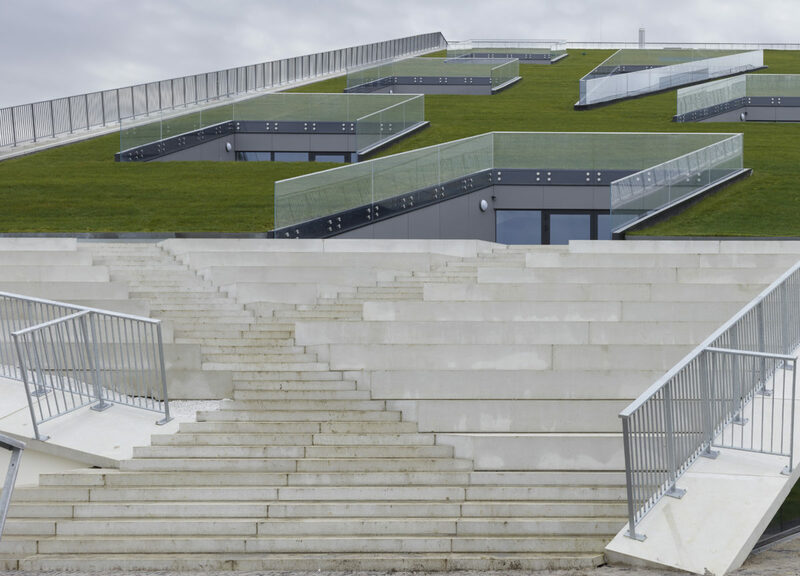 The green roof not only functions as a green oasis, used by everyone, but also as an additional thermal insulation and rainwater buffer system. 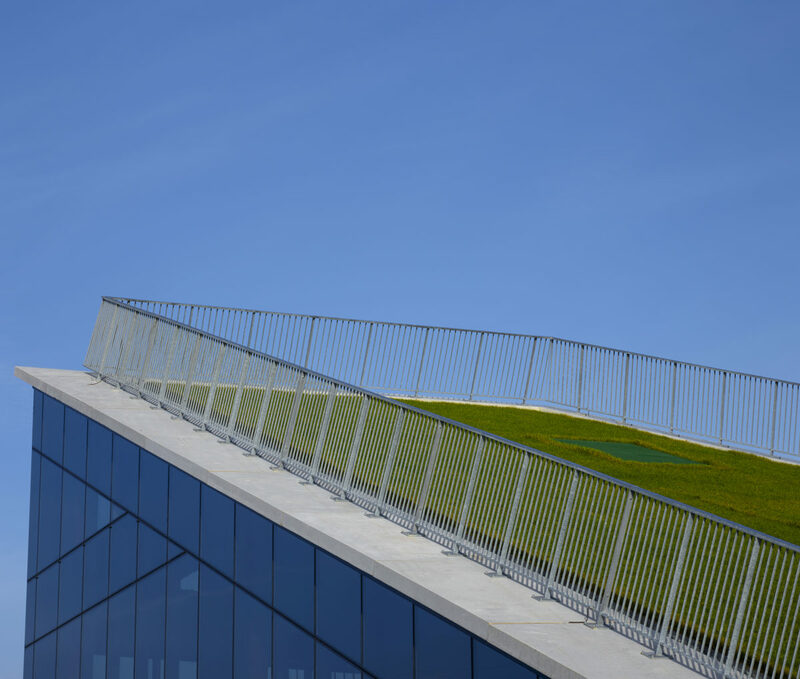 Another striking feature is the transparent curtain wall, an almost fully glazed façade, making the transition between the green roof and the building as smooth as possible. Finding a balance between the envisioned transparency from the inside, capturing a maximum amount of daylight and thermal energy requirements proved to be challenging. High-quality glazing with highest light transmission, and high solar heat reflection, prevents overheating. 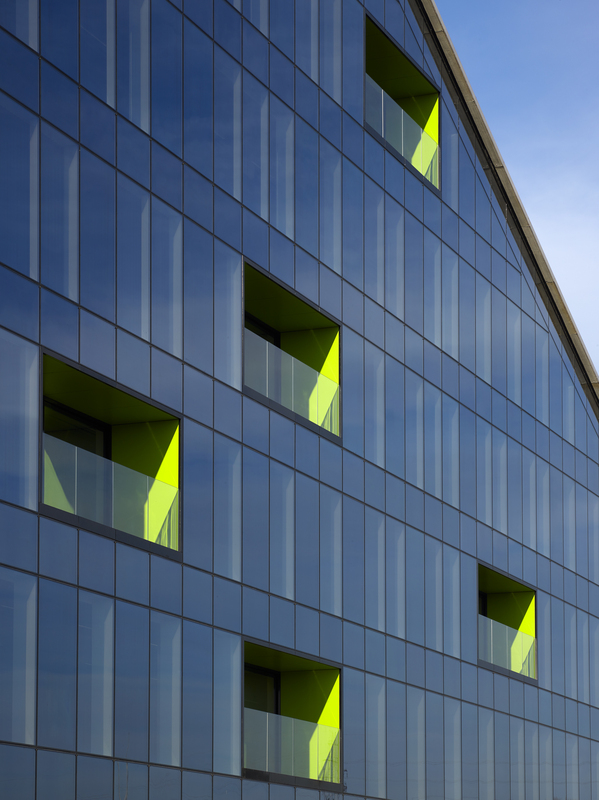 To obtain a clean and uniform look, a special coating was added onto the ‘ hard ‘ elements (such as the walls on the balconies), which are visible from inside, thus creating a similar color perception and reflection as the ‘translucent’ parts with view on the park.